My Mechanic is ASE Blue Seal Certified shop located in SoMa San Francisco. 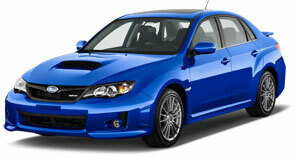 Our skilled technicians have an incredible knowledge of the Japanese-manufactured Subaru. They provide thorough inspections and guarantee that repairs will be handled quickly and professionally. Still skeptical about bringing in your Subaru for repair in San Francisco to My Mechanic? Check out our Yelp page. We have great reviews from many of our previous customers. Subarus are great automobiles. They need an equally great mechanic to provide superb maintenance and repair work. If you have heard of My Mechanic, you have probably heard about what a great shop they are. Their attention to detail is provided to each and every Subaru that comes in to their shop. Request an appointment online with our convenient web scheduler.